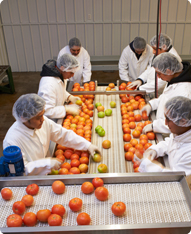 In today's produce business, the emphasis is on quality, food safety, freshness, service and price - dictated primarily by the consumer. 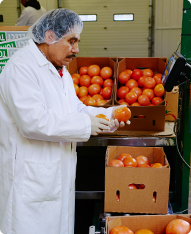 Educated customers place both foodservice and retail suppliers in a unique position to expand the distribution, consumption and profitability of fresh produce. 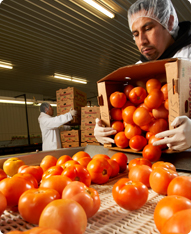 Expanding consumer demand for more fresh produce has created increased competition amongst foodservice suppliers and retailers across the country. Accordingly, the most progressive buyers are choosing to align themselves with local distribution centers to achieve a competitive edge. Our Private Label repacking service helps you build a memorable brand. 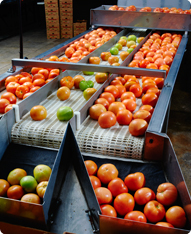 Your customers will enjoy delicious, fresh tomatoes in consumer-friendly packaging with exciting shelf appeal.